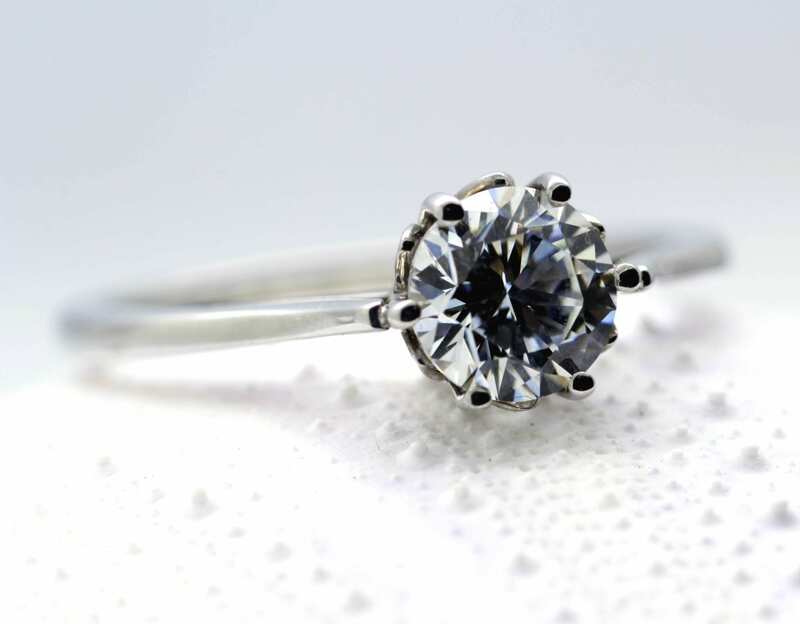 “Grande” showcases a truly exceptional Round Brilliant 0.75ct Diamond with dazzling sparkles hand set in a stunning solid Platinum engagement ring. 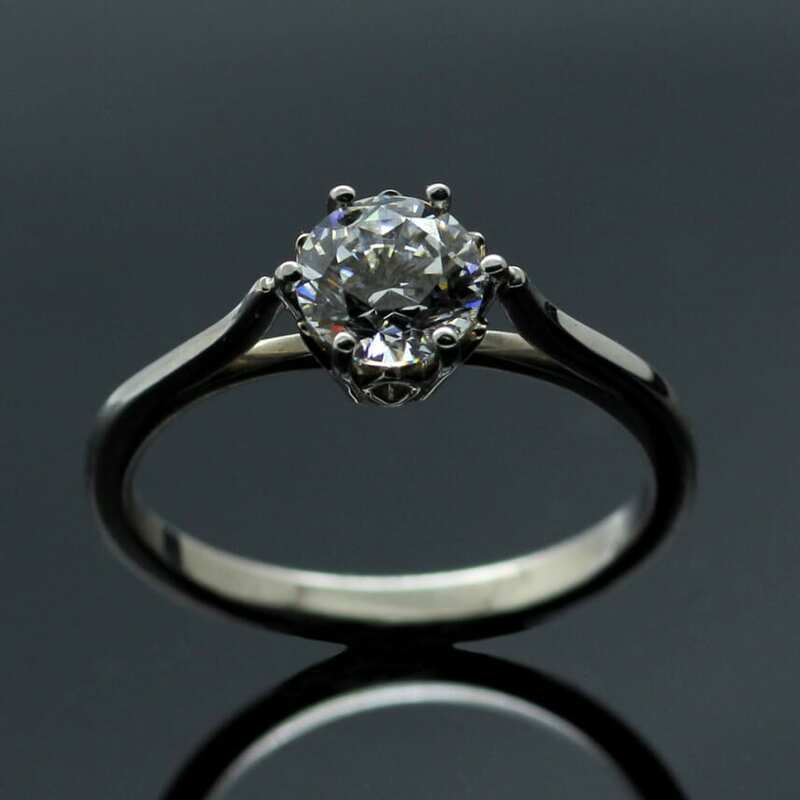 This handcrafted engagement ring combines two of the most sought after and precious materials to create a timeless engagement ring, designed, made and finished by our master Goldsmith Julian Stephens. 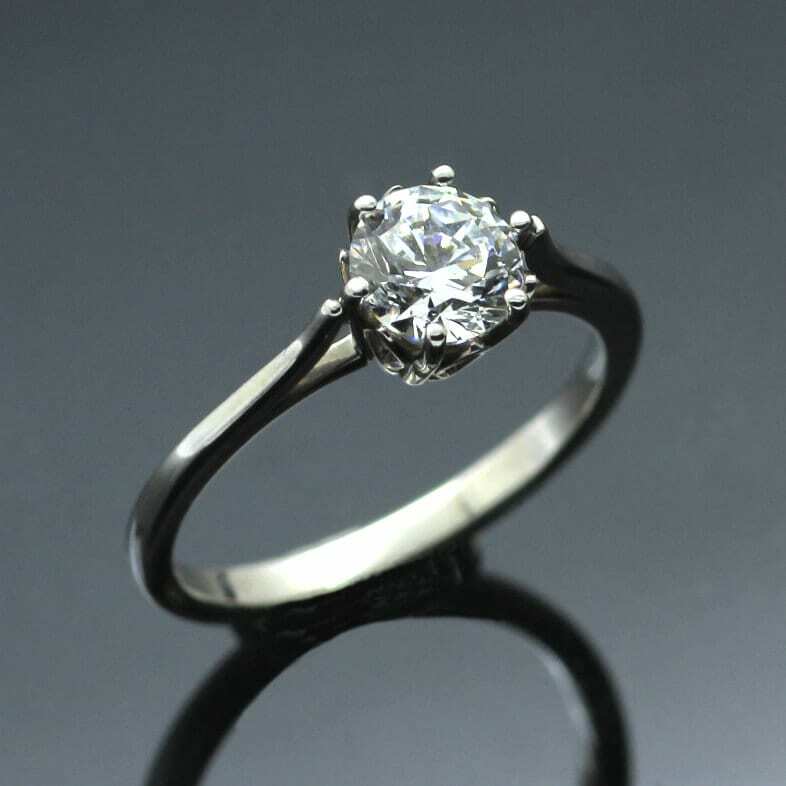 This classic engagement ring design uses a solid Platinum raised claw setting to elevate the stunning Round Brilliant Diamond, which allows the natural beauty of this faceted precious gemstone to glitter, shine and reflect light to a magical effect. An exceptional engagement ring which bears Julian Stephens exclusive makers mark, including conventional Hallmarking as assurances of the precious materials used to create this stunning piece.